99-03 Ford Super Duty 7.3L PowerStroke Diesel F-Series, Upgraded Larger GTP38 Turbo With 4" Turbo Inlet Size. Turbo: Upgraded GTP38 Turbo with 4" Inlet. 4" Pipe Connects Between Turbo Inlet and Upper Intake Pipe. 03-09 Volkswagen VW Golf GTI MK5 2.0 FSI. CXRacing Cold Air Intake Pipe Filter Kit For. Motor: 2.0 FSI Turbo. This is CXRacing's Newest Products for the Application Stated Above. Chassis: VW Golf MK5 GTI. CXRacing 3" OD Air Intake S Shape Al Intercooler Turbo Pipe. x1 3" OD Aluminum Pipe. Other Countries. PR, Guam, VI, AK, APO, HI. CXRacing Aluminum Y Pipe For Air Intake or Intercooler Piping. Twin Turbo Intercooler Piping. Mandrel Bent /Welded Aluminum Y Pipe, Each End is Rolled. One Y Pipe. Dual Air Intake System. CXRacing Aluminum Y Pipe For Air Intake or Intercooler Piping. Twin Turbo Intercooler Piping. Dual Air Intake System. • Any Modifications to your vehicle Are AT YOUR OWN RISK. Other Countries. PR, Guam, VI, AK, APO, HI. CXRacing Aluminum Y Pipe,Dual 3" to Single 4", For Air Intake or Intercooler Piping. Twin Turbo Intercooler Piping. Mandrel Bent /Welded Aluminum Y Pipe, Each End is Rolled. One Y Pipe. 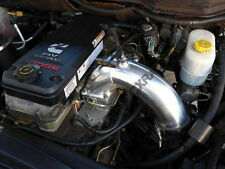 Dual Air Intake Systemgle 4". CXRACING 3" Cold Intake Pipe Air Filter For. This is CXRacing's Newly Developed Cold Intake System, with big 3" Pipe and Extended in front of the car, it brings up much cooler air. Replaces Restrictive Factory Intake. Item#:CXR -AI-RAM-0307-300-BLS. 03-07 Dodge Ram Cummins 5.9L Diesel. Chassis: 03-07 Dodge Ram Cummins. CXRacing Intake Elbow Pipe For. This is a New Intake Elbow Pipe Developed By CXRacing From Ground Up. This is CXRacing's Newest Products for Optima 2.0T. All Parts are Developed from Ground Up, Designed and Built Specially for the Optima with Improved Performance Gains. Chassis: 2010-2015 Kia Optima. This is one of CXRACING's Newest Intake Pipe For B7 Audi A4. CXRacing Air Intake Pipe for. 05 - 08 B7 Audi A4 2.0T. Chassis: 05-08 B7 Audi A4. Item#:CXR - KIT-AI-A4-2T-BKS. 07 Mitsubishi Lancer Evolution EVO X 10. 3" Pipe, with 1.25" Small Pipe for BOV Recirculation. CXRacing Air Intake Pipe Filter kit For. Air Filter. Piping Silicon Hose Clamp. CXRACING Cold Intake Pipe and HeatShield For. 3" Cold Intake Pipe Heatshield. Aluminum HeatShield Blocks Heat from the Motor. This is CXRacing's New FMIC kit Developed Cold Intake System, with big 3" Pipe and Extended in front of the car, it brings up much cooler air. Item#:CXR -AI-RAM-0307-300-BKS. 03-07 Dodge Ram Cummins 5.9L Diesel. Chassis: 03-07 Dodge Ram Cummins. 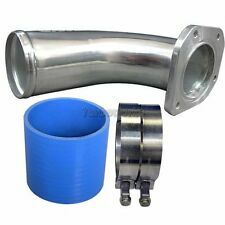 CXRacing Intake Elbow Pipe For. 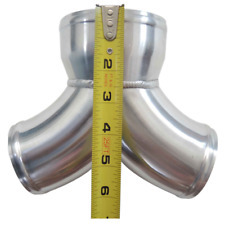 This is a New Intake Elbow Pipe Developed By CXRacing From Ground Up. This is CXRacing's Newest Products for RSX DC5. All Parts are Developed from Ground Up, Designed and Built Specially for the K20. Kit is Bolt on Fit and Easy Install. 03-07 Ford Super Duty 6.0L PowerStroke Diesel V8. Motor: 6.0L PowerStroke Diesel V8. CXRacing 4" Turbo Cold Air Intake Pipe For. Installed Pictures Show Intercooler and Piping Kit, These Are NOT Included. CXRACING 3" Cold Intake Pipe. This is CXRacing's Newly Developed Cold Intake System. 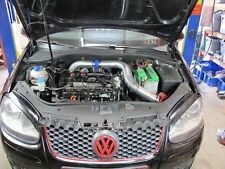 99-05 VW Jetta 1.8T Turbo. with big 3" Pipe and Extended in front of the car, it brings up much cooler air. Aluminum Pipes Black Silicon Hose T-Clamp. 03-07 Ford Super Duty 6.0L PowerStroke Diesel V8. Motor: 6.0L PowerStroke Diesel V8. Chassis: 03-07 Ford Super Duty F250 F350. Installed Pictures Show Intercooler and Piping Kit, These Are NOT Included. CXRACING 3" Cold Intake Pipe. This is CXRacing's Newly Developed Cold Intake System. 99-05 VW Jetta 1.8T Turbo. with big 3" Pipe and Extended in front of the car, it brings up much cooler air. Aluminum Pipes Blue Silicon Hose T-Clamp. Welded with 10mm OD Vacuum Pipe. 3" OD S shape. Our Aluminum Pipe is High Quality Pipe, Can be welded without any issues. Universal Aluminum Mandrel Bent Polished Pipe. 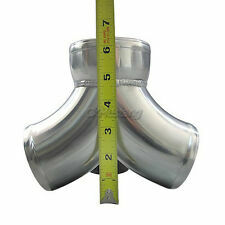 Aluminum Pipe with perfect thickness of balancing performance and durability. CXRacing 4" and 5" Turbo Air Filter Intake Pipe For. 5" Pipe Connects to Air Filter, then Using A Reducer Hose Connects. to A 4" Pipe Which Connects to Turbo Inlet. 03-07 Ford Super Duty 6.0L PowerStroke Diesel V8. For 01-06 Honda Integra DC5 / Acura RSX with K20 Motor. This is CXRacing's Newest Products for RSX DC5. All Parts are Developed from Ground Up, Designed and Built Specially for the K20. Kit is Bolt on Fit and Easy Install. Item#:CXR -AI-OPTIMA-BKS. This is CXRacing's Newest Products for Optima 2.0T. All Parts are Developed from Ground Up, Designed and Built Specially for the Optima with Improved Performance Gains. Chassis: 2010-2015 Kia Optima. CXRacing 3" Turbo Air Intake Kit for BMW E87 135i and E90 335i N54 Engine. BMW E87 135i or E90 335i, with N54 Engine. Air Intake Pipe Air Filter. Replaces Restrictive Factory Turbo Intake System, Dramatically Improves Performance. CXRacing Cold Intake Pipe and HeatShield For. 3" Cold Intake Pipe Heatshield. Aluminum HeatShield Blocks Heats from the Motor. This is CXRacing's New FMIC kit Developed Cold Intake System, with big 3" Pipe and Extended in front of the car, it brings up much cooler air. CXRacing 5" Cold Air Intake Kit for 3rd Gen 2015-2016 Chevy Silverado / GMC Sierra 2500/3500HD 6.6L LML Duramax Diesel. Motor : 6.6L LML Duramax Diesel. Chassis: 2015-2016 Chevy Silverado/ GMC Sierra 2500/3500HD. 94-99 Mazda MX-5 Miata with 1.8L Engine. Chassis: 94-99 Mazda MX-5 Miata. CXRacing Cold Air Intake Kit with Pipe Filter For. Air Intake Pipe Air filter Hose Clamp Bracket. 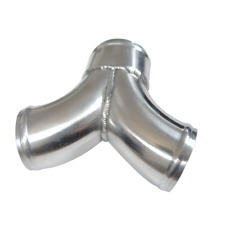 This is a New Intake Elbow Pipe Developed By CXRacing From Ground Up. This is CXRacing's Newest Products for RSX DC5. All Parts are Developed from Ground Up, Designed and Built Specially for the K20. Kit is Bolt on Fit and Easy Install. CXRacing Cold Air Intake Kit for. Chassis: 90-98 MIATA. Piping Silicon Hose Clamp Bracket Air Filter. Piping Kit. 3" Aluminum Pipe and 3" Filter. Product Being Sold. CXRacing Cold Air Intake Kit with Air Filter and Air Box for 1999-2005 2nd Generation NB Mazda Miata 1.8L. This is CXRacing's Newest Product for The Application Stated. All Products Are Developed from The Ground up in Our R&D Center Based in The USA. 01-06 Honda Integra DC5 / Acura RSX with K20 Motor. Chassis: 01-06 Honda Integra DC5 / Acura RSX. This is CXRacing's Newest Products for RSX DC5. All Parts are Developed from Ground Up, Designed and Built Specially for the K20. Motor: 7.3L Power Stroke Diesel F-Series. Air Intake Kit. 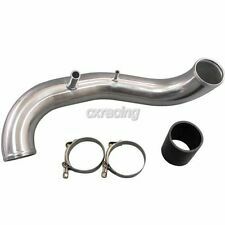 CXRacing 4" Turbo Air Intake Pipe Kit For. 4" Pipe Connects Between Turbo Inlet and Upper Intake Pipe. Dramatically Increases Air Flow and Increase Performance. 1st Gen 2011-15 Chevrolet Cruze Ecotec 1.4T Turbo. This is CXRacing's New FMIC kit Developed Intake System, with 2.75" Pipe Replaces Restrictive Factory Intake. CXRacing 2.75" Intake Pipe Kit with Air Filter For. This is one of CXRACING's Newest Intake Piping kit for BMW E30. CXRacing Newest Intake Piping Kit For. MAF Flange. MAF Sensor Unit is for Demo ONLY, NOT Included. Mandrel Bent Aluminum Pipe. air intake piping kit. 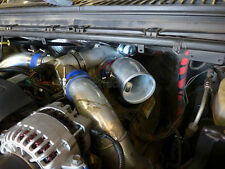 99-03 Ford Super Duty 7.3L PowerStroke Diesel F-Series, GTP38 Turbo With Upgraded 4" Turbo Inlet Size. Turbo: Upgraded GTP38 Turbo with 4" Inlet. 5" Pipe Connects to Air Filter, then Reduced to 4" Pipe and Connects to Turbo Inlet. Motor: JDM Toyota 2JZ-GTE VVTI. Chassis: BMW E36. CXRacing 3" Turbo Intake Pipe Air Filter Kit For. 3" Aluminum Intake Pipe. Air Intake Kit. Turbo Intake Kit 3" Air Filter. Parts Being Sold are the Kit Being Advertised ONLY. Chassis: 1st Generation Lexus SC300. This Is For Intake Kit ONLY. Intercooler Kit, Radiator Hard Pipe Kit Shown On Installed Pictures Are NOT Included. 3" Pipe and Air Filter. x1 Intake Pipe. This is CXRacing's Newest Product for The Application Stated. CXRacing3.5" Universal NA (Naturally Aspirated) Intake Kit For GM LS1, LSx, LMx, LQx Motor. 3.5" Mandrel Bent Aluminum Pipe and 3.5" Air Filter. For Different Chassis, Pipe Might Need to Cut to Different Length to Fit Your Application. Polished Finishing, Excellent For Show Car Quality for Header, Manifold, or Exhaust System. Below Picture Shows An Example Of Finished Product Using This Y Collector Pipe. Actual Product In This Pictures Is NOT Being Sold! Nissan 240SX S13 S14 with RB20/25DET Motor swap, Top Mount Turbo. Chassis: Nissan 240SX S13 S14. 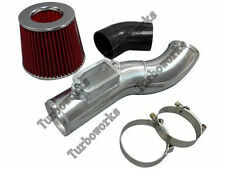 CXRacing 4" Turbo Intake Pipe Filter Kit For. 4" Turbo Intake pipe, with air filter. Mandrel Bent Aluminum Pipe. 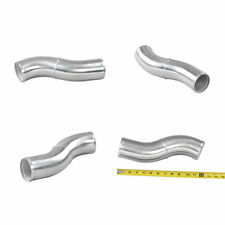 CXRacing Aluminum Throttle Intake Pipe For. Mazda RX7 FD 13B Rotary Engine. FD Aluminum Intake Pipe x 1. High Pressure Cast Aluminum Intake Pipe, Polished. Especially Designed, Made for the Application Stated. NA Intake Pipe and Filter Kit For 89-97 Mazda Miata 1.6L With Heat Shield. Motor: 89-97 Mazda Miata 1.6L Engine. 3" Aluminum Intake Pipe. 1 Air Intake pipe. Black Powder Coated Aluminum Heat Shield. 1 Heat Shield. 99-05 VW Jetta 1.8T Turbo. This is CXRacing's Newly Developed Cold Intake System, with big 3" Pipe and Extended in front of the car, it brings up much cooler air. Replaces Restrictive Factory Intake. Chassis: 93-02 Toyota Supra MK4. x1 Air Intake pipe. This is CXRacing's Newest Product for The Application Stated. All Products Are Developed from The Ground up in Our R&D Center Based in The USA. PR, Guam, VI, AK, APO, HI. BMW 335i 335is (E90 E91 E92) N55 TwinPower Turbo Engine. Chassis: BMW 335i 335is (E90 E91 E92). Pipe welded with NPT 1/8 Bung. 2mmmm Thickness Aluminum Polished Pipe, matching Intercooler inlet and outlet size, provides the best air flow from Turbo to Throttle body.